This week, the earth will get to experience the second supermoon of the year. And it’s also the biggest full moon supermoon of 2019. While the moon looked bright and full last night, it will reach its peak full phase tonight. So what is a supermoon? 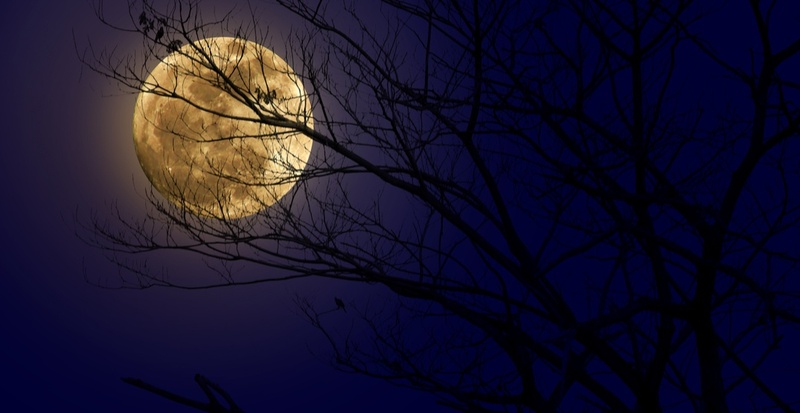 It’s when the full moon is closest to the earth, and according to EarthSky, this February full moon reaches its exact full phase closer to the time of perigee than any other full moon this year. This year’s first supermoon occurred on January 21, and there is another one happening on March 31. EarthSky explains that all of these full moons are less than 362,000 km distant as measured from the centers of the Earth and moon. In contrast, the year’s farthest full moon on September 14, 2019, will reside at a distance of 406,248 km. According to NASA, to watch tonight’s supermoon, or any full moon, simply look for the moon to rise in the east as the sun sets in the west. So wherever you are tonight, don’t forget to look up.